Spring Heeled Jack isn't alone in his mental confusion. Burton can hardly function; he's experiencing one hallucination after another--visions of parallel realities and future history. Someone, or something, is trying to tell him about ... what? 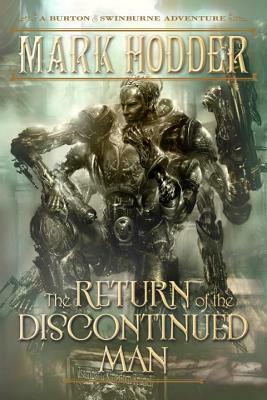 When the revelation comes, it sends Burton and his companions on an expedition even the great explorer could never have imagined--a voyage through time itself into a twisted future where steam technology has made a resurgence and a despotic intelligence rules over the British Empire! Mark Hodder is the author of A Red Sun Also Rises and the Burton & Swinburne novels The Strange Affair of Spring Heeled Jack, The Curious Case of the Clockwork Man, Expedition to the Mountains of the Moon, and The Secret of Abdu El Yezdi. A former BBC writer, editor, journalist, and web producer, Mark left London, England, for Valencia, Spain, to de-stress and write novels. He has a degree in cultural studies and loves British history, good food, cutting-edge gadgets, Tom Waits, and a vast assortment of oddities. He's the creator and caretaker of the Blakiana website celebrating Sexton Blake, the most written-about fictional detective in English publishing history.